Do you pay attention to the quality of your indoor air? If you don’t already, consider this your call to action and start now! Indoor air quality (IAQ) really does impact your overall comfort and unfortunately, there are many factors that can lower your indoor air quality. An air duct cleaning is one of the best ways to clean your home’s indoor air and boost your overall comfort. Not all HVAC companies provide duct cleaning services, and not all companies that list this service can do it well. You want duct cleaning from a professional team like ours. When you’re ready to make the move to improve your indoor air quality in St. Augustine, make sure you contact our team. The air ducts in your home are incredibly important, they’re the system that allows your home to receive cool or hot air. These ducts have a big job by keeping your home comfortable no matter the season. The air that cycles through this ventilation system and into your home is the air that you breathe, so you want it to be as clean as possible. You can’t clean your air ducts on your own. You need a professional to perform these services for you. Air duct cleaning removes dust, dirt, and debris from your ductwork system so that your home isn’t constantly circulating harmful airborne contaminants. If you need duct cleaning in St. Augustine then contact our team today. If you’d like to know how duct cleaning can benefit your home, then keep reading below. Keeping your air conditioner healthy isn’t the only thing you should be concerned about this summer. The air conditioner could be functioning just fine, and you could still lose a lot of money on inefficient cooling. Preventive maintenance can increase the energy efficiency of the air conditioner by up to 40%, but there are also other ways that you can ensure your climate control system operates as smoothly as possible. One of the better ways to improve your air conditioner efficiency outside of preventive maintenance is to schedule duct cleaning. Ah, summer. The time when everyone locks themselves indoors, cranks their air conditioners all the way up, and tries not to think about the horrible heat and humidity lurking just outside. What, you don’t do that? Well, if you plan on using your air conditioner at all over the next few months, there are a few steps that you should be taking to make sure that it’s ready for the summer heat. One preparation that altogether too few homeowners make is getting their ducts cleaned, which can have an effect on both their air conditioning and their indoor air quality. If you haven’t had your ducts cleaned in a while, read on to find out why it’s actually a very good idea. Posted in Indoor Air Quality | Comments Off on When Was the Last Time You Had Your Ducts Cleaned? We don’t need any heat during the day but, with nighttime temperatures dipping into the 40s, you may have turned your heating system on once or twice already. If your warm air is delivered by ductwork, and your ductwork hasn’t been cleaned in the last five years, it is time to give our indoor air quality experts a call and schedule a duct cleaning appointment for your home in Hastings, FL. Can Duct Cleaning Benefit My HVAC System? When it comes time to clean your home, you try to get every nook and cranny that you can. But some areas of the home are harder to reach than others, like the ductwork. In fact, while you may be able to reach the vents that lead to your home, large-scale duct cleaning is a job best left to the professionals. Professional duct cleaning involves the use of specialized tools that can remove any stray particles that may otherwise infiltrate the air in your home. Specialists use heavy-duty vacuums to create negative pressure in the ducts, so that particles knock loose from the lining of the ductwork. They also use brushes and, in some cases, non-toxic liquid cleaning solutions, and they know the proper methods of cleaning to avoid any damage, even for flexible ductwork. This is important for both a healthy living space and, more surprisingly, for your HVAC system. Of course, the most obvious benefit of professional duct cleaning is improved air quality. Your family members may inhale dust and debris that moves through the ductwork and into your home, causing respiratory problems or provoking the symptoms of asthma or allergies. But one of the more surprising benefits is what duct cleaning can do for your air conditioning and heating system. Prevent HVAC Repair: When any part of your HVAC system is not in top shape, it can interfere with normal operation. A layer of dirt and dust in the ducts can create friction which keeps air from moving into your home with ease. This means your HVAC unit will work harder in an attempt to regulate the temperature. Over time, the extra strain on your system may cause parts to fail. Extend the Life of Your Unit: As parts wear down, they may fail before their time is up. An HVAC system is a big investment and it is important to keep all of the components in top shape to give your unit some extra time—and even an extra month or two can make a huge difference for your budget. 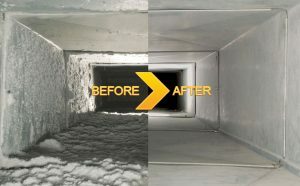 Greater Efficiency: Finally, scheduling duct cleaning every year can help you save a little bit of money every month. Because your system may not take as long to cool or heat your home with cleaner ducts, you may have a more efficient system and save on your energy bills. Experts recommend scheduling duct cleaning every year to keep pollutants out of your home. To speak with duct cleaning professionals in Ponte Vedra Beach, call Climate Masters today! Posted in Indoor Air Quality | Comments Off on Can Duct Cleaning Benefit My HVAC System? “Regular duct cleaning? Is that really necessary?” This is something people often ask when they hear about duct cleaning services. It’s an understandable reaction, since it’s difficult to see the inside of the ventilation system in a home and know the level of dust and dirt contamination inside. But duct cleaning is necessary every few years, and in some cases every year. It will help you keep a cleaner house. It will reduce airflow friction along the ducts so your HVAC system won’t overwork and drain money. It will prevent debris from entering the cabinet of your AC or furnace and create repair needs. And, perhaps most importantly of all, it will raise the quality of your indoor air. Cleaning ductwork isn’t a job you can perform on your own; it requires specialists with pro-level tools. For duct cleaning in St. Augustine, FL, call up Climate Masters and our indoor air quality team. How serious is the quality of your indoor air? The U.S. EPA has identified it as a major health threat. Most U.S. citizens spend 85% of their time indoors, and when you consider how much of that time is inside their own homes, the quality of the air there is of great importance. Since most houses have an effective seal against the outside air in order to maintain comfortable indoor temperatures in winter and summer, there is little fresh air circulation. Here is where duct cleaning plays an important part. Inside your home, your HVAC system circulates air throughout the rooms, and it will pick up dust, dirt, and other contamination and draw them through the return air vents into the ducts. In this sealed environment, the pollutants will begin to build up and then blow out into your living spaces, lowering the air quality. Skin and eye-irritation, asthma, headaches, and cold and flu-like symptoms are common problems due to low indoor air quality. People with allergies are especially hard hit. But with regular cleaning of your ducts, you remove one of the major reservoirs that collect the contaminants that cause these troubles. It’s difficult to access the interior of ductwork, and the dirt and dust inside is hard to remove—unless you have professionals take on the job. Using power vacuums and agitation equipment, duct cleaning specialists can make your ducts almost like new. How often you need to have your ducts cleaned depends on your house and living situation. If you have pets or if people with allergies live in your home, you should consider having cleaning done every year. Many homes will benefit from it every other year. Consult with a duct cleaner about the best schedule for you. To start right away with duct cleaning (how long has it been?) call Climate Masters. We have the tools and the skill to give you a great duct cleaning in St. Augustine, FL. Most homes have ductwork installed for their HVAC system. Even if you use a boiler to heat your home, you probably have a central air conditioner for warm weather that requires ductwork. Because ducts remain mostly hidden from sight, it’s easy to forget that they require regular professional cleaning to keep them free from the dust and other contaminants that can start to develop inside. Here are 3 good reasons that you should call duct cleaning professionals. And you do need professionals, since accessing your ducts and providing the right level of cleaning and vacuuming power isn’t something you can achieve on your own. Call Climate Masters for any ductwork services in St. Augustine, FL that you need. When ducts begin to develop a layer of dirt and other debris along their inner lining, it increases the airflow resistance. Ductwork designers try to create ducts that have the least amount of friction possible against the flow of air, but dirty ducts interfere with this. As airflow drops, you’ll not only receive less effective heating and cooling, your HVAC system will need to work harder—and that means higher monthly power bills. The U.S. EPA has identified low air quality as a major health concern in the U.S. On average, you probably spend 85% of your time indoors, and more than half of that time will be inside your home. To keep the air quality of your house at its best, you need to have clean ducts that won’t blow out dust, dirt, dander, pollen, hair, or other pollutants that can cut into air quality. All that dust sent out from the vents of your HVAC system will do more than lower your air quality. It will also make your house dustier and dirtier in general. If you discover that no matter how much you sweep, clean, and dust, the dust comes back right away, then you probably have a dirty ductwork system. At Climate Masters, our professionals in service on ductwork in St. Augustine, FL care about your indoor air quality, and we care about the efficiency of your heating system. Duct cleaning service in St. Augustine, FL is an important part of the regular maintenance on your home. Cleaning the ductwork helps improve your indoor air quality, keeps debris from entering your HVAC system, and reduces the resistance to airflow so you get efficient heating and cooling all year. Duct cleaning requires the work of trained specialists. It is difficult for a non-professional to access the ducts to properly clean them, and the tools involved are too expensive and complex for amateur use. You can’t just use a commercial spray cleaner and dust mop for this job—and you shouldn’t try to climb into your ducts, no matter how often you’ve seen it done in movies and TV shows! Professionals are only a phone call away: Climate Masters offers complete duct cleaning services, as well as duct sealing, repair, and replacement. Duct cleaning varies depending on what sort of contaminants need removal. At the basic level—clearing out dust and dirt—ductwork involves the use of special high-powered vacuums. The vacuums have long hoses that can snake up into the vents along your ducts. They place whole sections of the ductwork under negative pressure. What this does is dislodge ground-in dirt that would otherwise be too difficult for the air suction in the vacuum to remove. Once the dirt has been loosened, the vacuum can draw up the debris. To get at contaminants that are even tougher to remove, duct cleaning specialists make use of powerful rotary brushes on long hoses. These brushes loosen dirt without causing damage to the walls of the ducts. Another useful tool for cleansings ducts are non-toxic sanitizers and deodorizers. These cleaners can eliminate a number of bacterial pollutants inside your ducts without leaving behind a dangerous residue that will waft out of the vents afterwards. This step will help make your ducts almost as fresh as when they were new. For serious cases of microbiological growth, such as mold (a common problem in Florida’s humidity), duct cleaners can install UV germicidal lights, which destroy the cellular structure of biological contaminants and help prevent their return. How often should you have professional duct cleaning? Although ducts will begin to gather dust at different rates, we suggest you schedule cleaning at least annually. If you have noticed signs that the ducts are seriously dirty (dust spreading throughout the house, a spike in energy bills due to the HVAC system, an increase in allergic symptoms) you should have the ducts cleaned as soon as possible. Let Climate Masters take care of your duct cleaning in St. Augustine, FL. Our range of indoor air quality services will make sure your ductwork receives the treatment it needs. Why Should I Get Duct Cleaning Before Winter Is Here? If you have ductwork in your home, it usually serves two purposes: channeling cool air most of the year, and channeling warm air during Florida’s brief but often unpredictable winter season. Ducts are carefully sealed along their length to prevent loss of pressure during normal operation. But as a consequence, dust and other debris that can collect inside will begin building up. Just running your air conditioner during the summer doesn’t clear out these pollutants—it will probably draw in more, especially if you’ve neglected to change the air filter once a month. Winter is right around the corner, and you may already have a large amount of dirt and other contaminants sitting in your ducts. Before you start using those ducts to circulate heat, get them cleaned out. Call Climate Masters to get thorough duct cleaning in St Augustine. But wait, you may be thinking, how bad can dirty ducts really be? The truth is that contamination in your ducts poses health risks, and also contributes to lowering your heater’s efficiency and causing dust to circulate throughout your home. Getting your ducts cleaned will benefit you in numerous ways. According to the EPA, low indoor air quality is a major health concern in the US, where people spend a large amount of time inside. Breathing poor quality air can lead to respiratory problems, eye irritation, and sleeping difficulties. People with allergies are especially sensitive to poor quality air. A furnace or heat pump blowing dust, pollen, and dander around your home contributes enormously to reducing its air quality. Most worrying of all are biological pollutants that form in the dark of ducts. All of these can be fixed with thorough professional cleaning. The other benefits of getting your ducts cleaned before winter are improving heating efficiency, reducing the strain on your heater, and keeping dust from settling around the house. You’ve probably seen action movies or thrillers where the hero had to crawl through air ducts to escape the villains or spy on them. Fun… but you don’t want to try to crawl through ducts in real life, and you couldn’t do much good if you did. 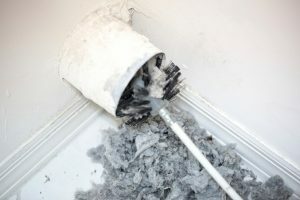 You should hire professional duct cleaners to do the job of getting the dirt out of your ductwork. They’ll use special tools and access your ducts without causing damage. Climate Masters has performed duct cleaning in St Augustine FL for so many years that we can get your ductwork clean in no time at all. Contact us before your furnace or heat pump turns on for the winter. Posted in Indoor Air Quality | Comments Off on Why Should I Get Duct Cleaning Before Winter Is Here?